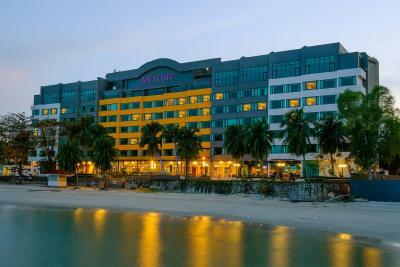 Lock in a great price for Mercure Penang Beach – rated 8 by recent guests! Excellent room. The view was great despite the cocunut tree blocked part of the view. The location is great. Very clean and comfortable rooms. Nice beds and pillows. 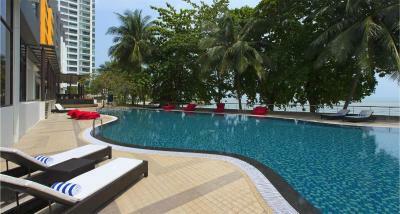 The direct access to the beach, variety of breakfast menu, the swimming pool is beautiful n suitable for kids. 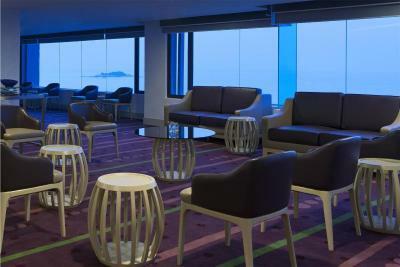 its exactly the same as the old hotel, just a name change. A lot less people now though. Wonder why. 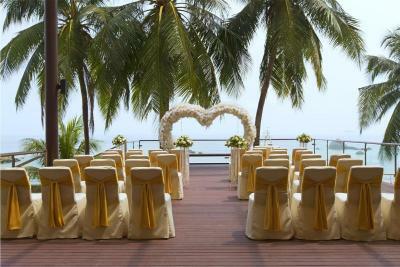 Great venue by the beach with the terrace overlooking the sea. 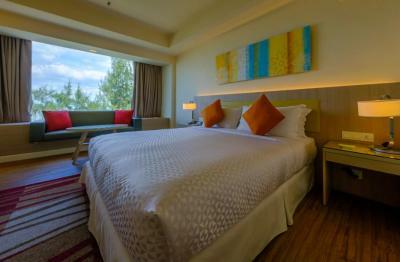 Comfy room and awesome stay. Thank you! Breakfast was good. Waiter and waitress was good. Yes, bed and room was excellent. Suit our family. Bellmen was on duty during our stay was superb. Very helpfull and caring. We went the to celebrate our 24th wedding anniversary. We love the room decorations and tasty cake. Thank you so much for the great effort. We didn't opt for breakfast, therefore not able to comment. 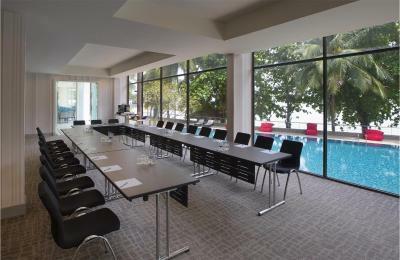 Mercure Penang Beach This rating is a reflection of how the property compares to the industry standard when it comes to price, facilities and services available. It's based on a self-evaluation by the property. Use this rating to help choose your stay! 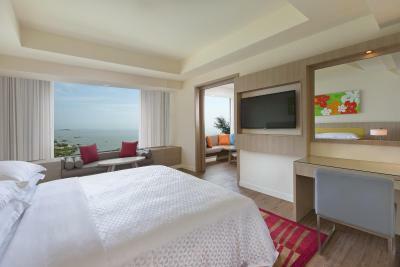 One of our top picks in George Town.A 15-minute drive to the popular Batu Feringghi, Mercure Penang Beach features elegantly furnished guestrooms. 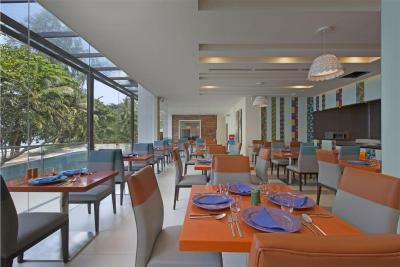 Its facilities include a spacious outdoor swimming pool and a fitness center. 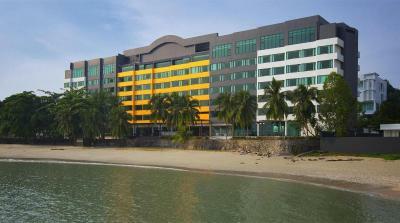 Mercure Penang Beach is located a 10-minute drive from Straits Quay Mall and Convention Center. 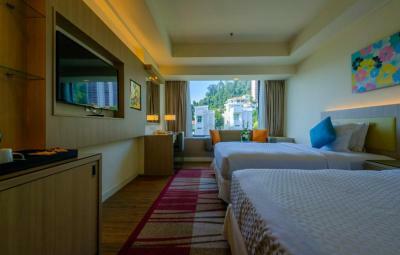 The famous Georgetown is a 20-minute drive away and Penang International Airport is 35-minute drive away. 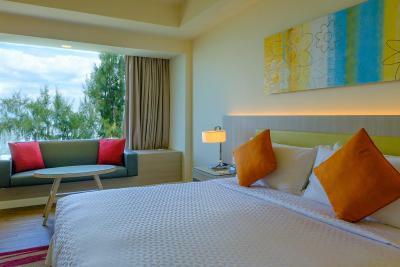 Cozy air-conditioned rooms feature modern interiors and furnishings. 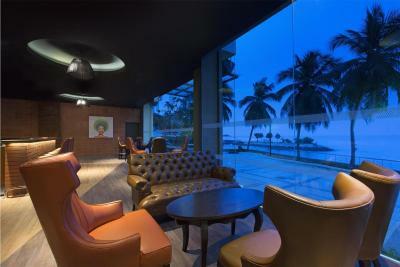 Each is equipped with a personal safe and flat-screen satellite TV. Tea/coffee making facilities are provided. 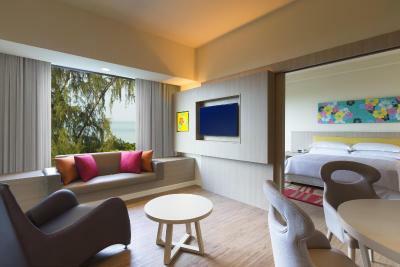 When would you like to stay at Mercure Penang Beach? 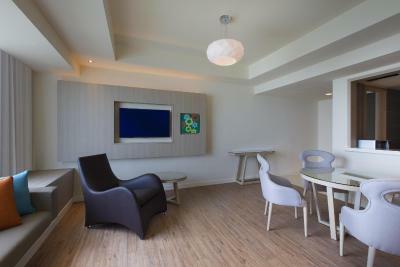 This double room features a seating area, private entrance and sofa. 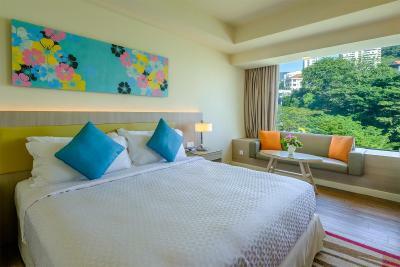 This double room has an outdoor swimming pool, seating area and private entrance. 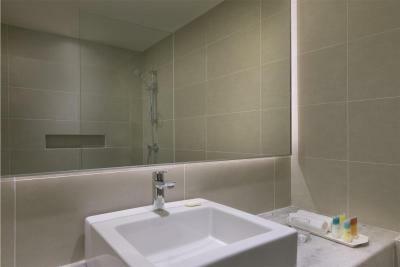 This double room has a seating area, flat-screen TV and tile/marble floor. 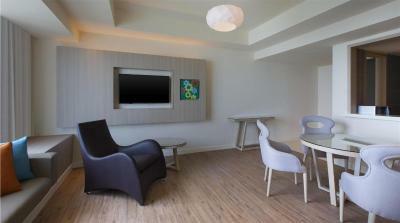 This double room features a seating area, mini-bar and electric kettle. 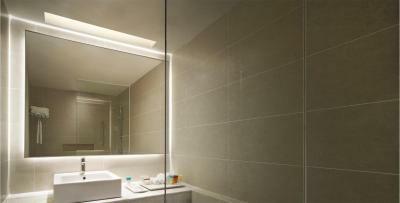 This suite has a private entrance, tile/marble floor and electric kettle. House Rules Mercure Penang Beach takes special requests – add in the next step! 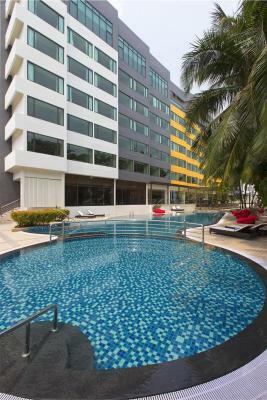 A MYR300 damage deposit is required on arrival (around USD72.42). This deposit will be fully refunded at check-out, as long as there isn't any damage to the property. 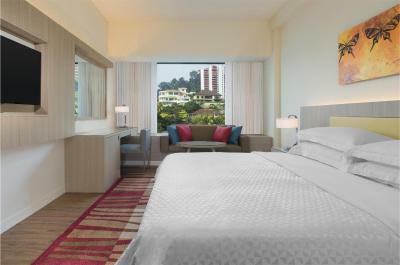 Any additional older children or adults are charged MYR 120 per night for extra beds. 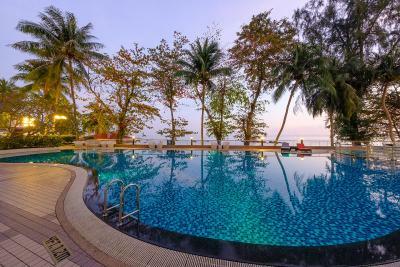 Mercure Penang Beach accepts these cards and reserves the right to temporarily hold an amount prior to arrival. 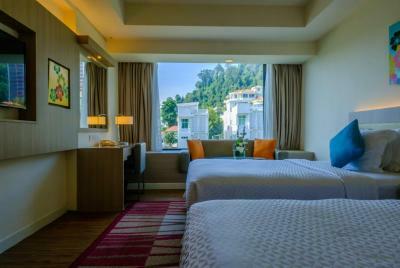 Effective 1 June 2014, please note that there will be a Local Government Fee of MYR 3 per room night imposed by the City Council of Penang. 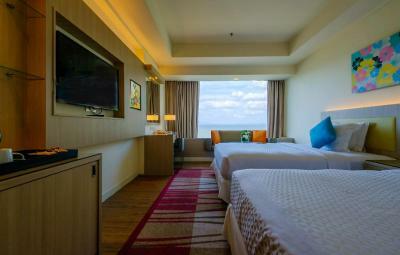 This payment is not included in the room rate and should be made upon check-out at Mercure Penang Beach. 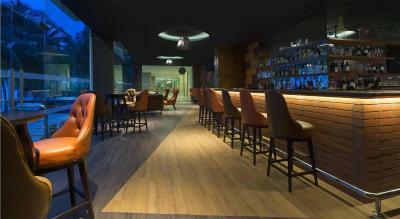 Please note that the property does not accept third party payment cards. 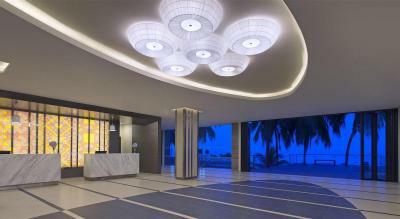 For security purposes, credit cards use for Non-Refundable bookings must also be presented when checking in. 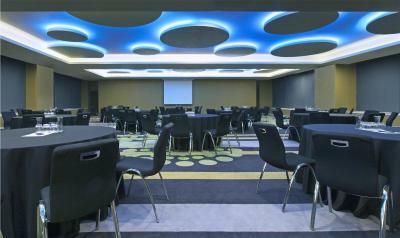 Please note that for bookings of 10 or more rooms (group booking), a deposit is required upon booking confirmation. 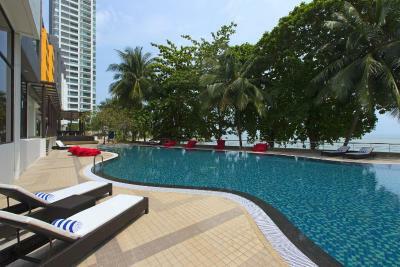 The property will contact you with more information and transfer instructions. A damage deposit of MYR 300 is required on arrival. That's about 72.42USD. This will be collected as a cash payment. You should be reimbursed on check-out. Your deposit will be refunded in full, in cash, subject to an inspection of the property. There was a function on night of April 20th and the music was so loud that I could hear it from my room at the 4th floor. I came with a family of 13 members including 5 children ages 1- 8 years and we had a hard time sleeping/putting the kids to sleep. When I checked with the staff what time is the music going to end, she said 1130pm but it only ended past 12midnight. Very2 bad experience. Building is not sound proof and hotel did not respect the guests who were trying to sleep. 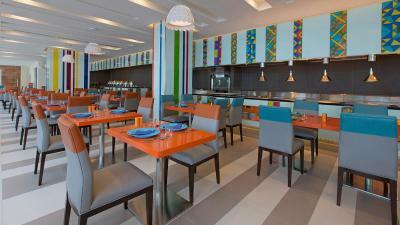 The breakfast is also very limited and same menu for 3 consecutive days. 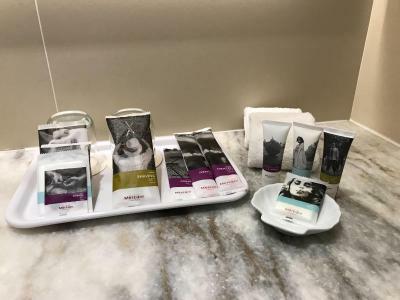 I have stayed in Mercure in a few countries and Penang is not Mercure standard. location nearby town. 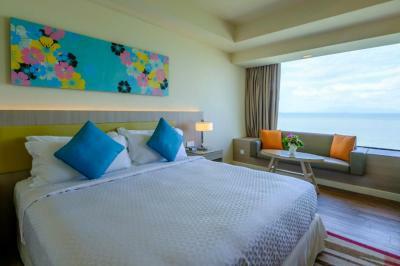 the bed very comfort with sea view. 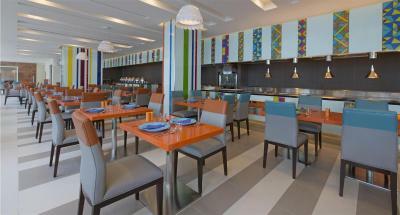 Location of the hotel is good, staff are friendly, the room that we stay is clean and comfortable. 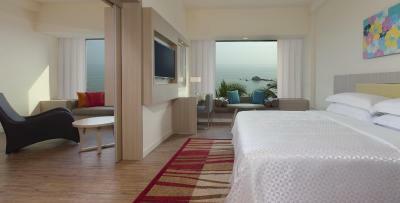 Most of all, we loves the sea view from the hotel room. We have to park at different building and then walk to the hotel. So inconvenience. Price not include breakfast. The view is superb. Its clean and so natural. Difficult to say as was only there for day. Maybe the loud hallway music. Cleanliness of swimmimg pool was uncertain as the waste of burung gagak was found a lot at the side of the trees. 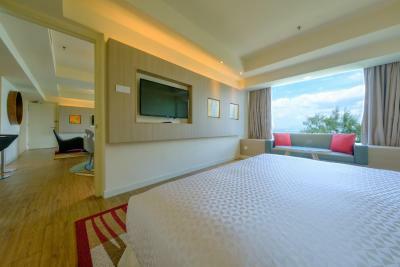 Deluxe room with two queen bed was so comfortable for us coming with husband, 5 years kidand mother. 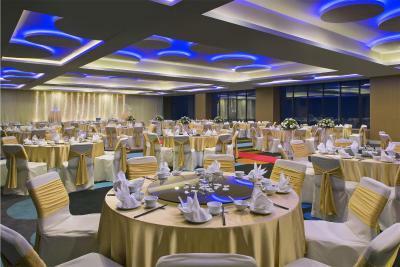 It is difficult to find the type of room in other hotels Coffee, croissant, roti canai...all excellent sedap. 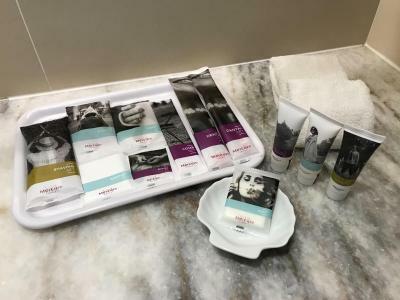 The rooms are a lot older and not as nice as the pictures.,location is not ideal but cabs are cheap so wasn't too difficult to get to George town and battu ferringhi. The pool and private beach was lovely. 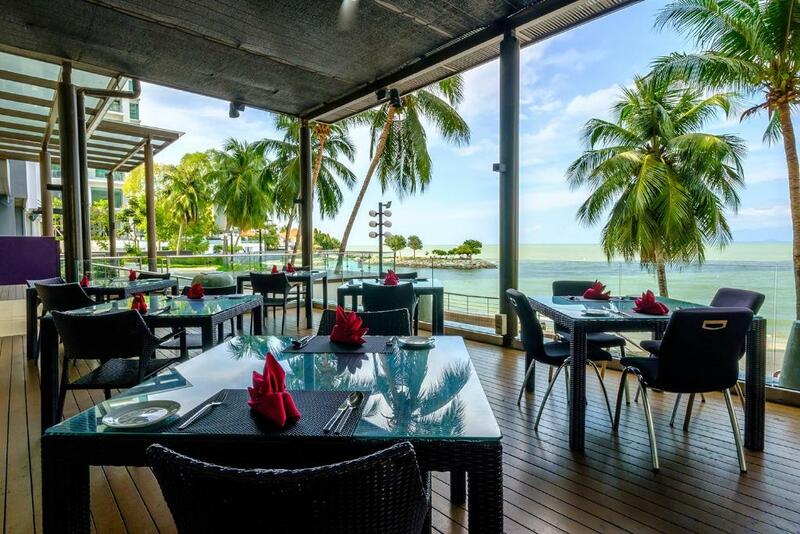 Gorgeous setting, right on the Beach. Wonderful staff. Love it. Would definitely be back. 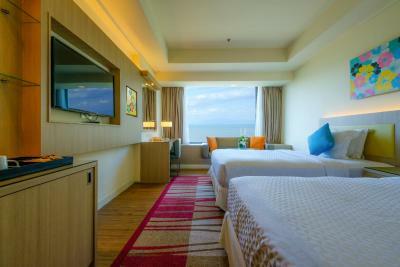 Clean and sea view is awesome! The room lacked cupboard space and drawers. Also some additional wall hangings and mats on floor would take away the blandness. 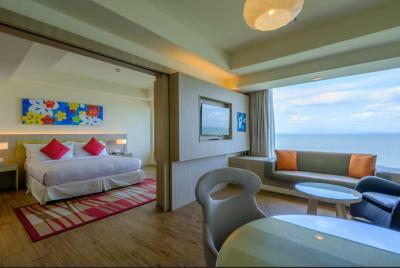 The spaciousness of the room and sea view. 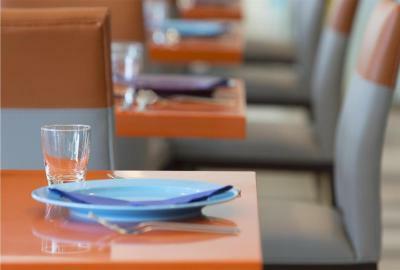 Convenient to Georgetown and restaurants.